My grandma and I saw this when we were on the bus on the way to Shinjuku. The building is a little hard to spot and if you can’t read Japanese you won’t really be able to see the sign. It says 猫カフェきゃりこ on its windows. You’ll have to look up the buildings to be able to see the sign. This is the ground floor of the building. 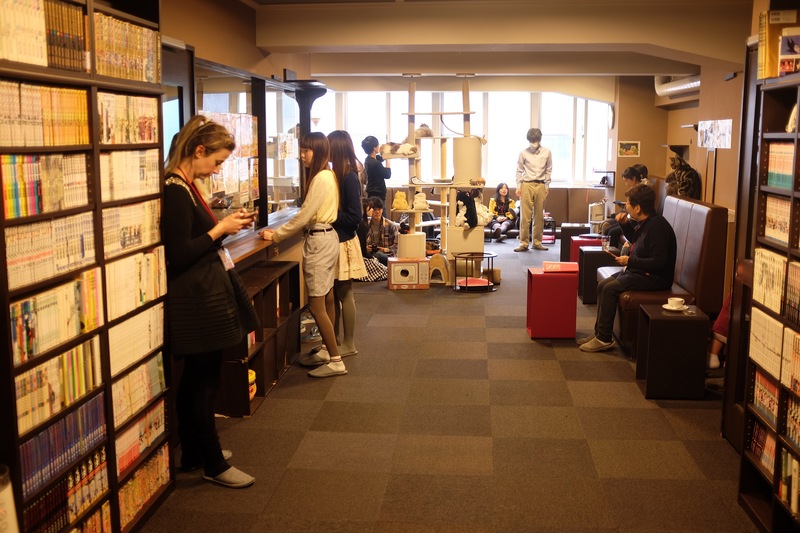 The cat cafe itself is located on the 5th floor but the entrance is located on the 6th floor of the building. Maybe you could find it if you google maps it. 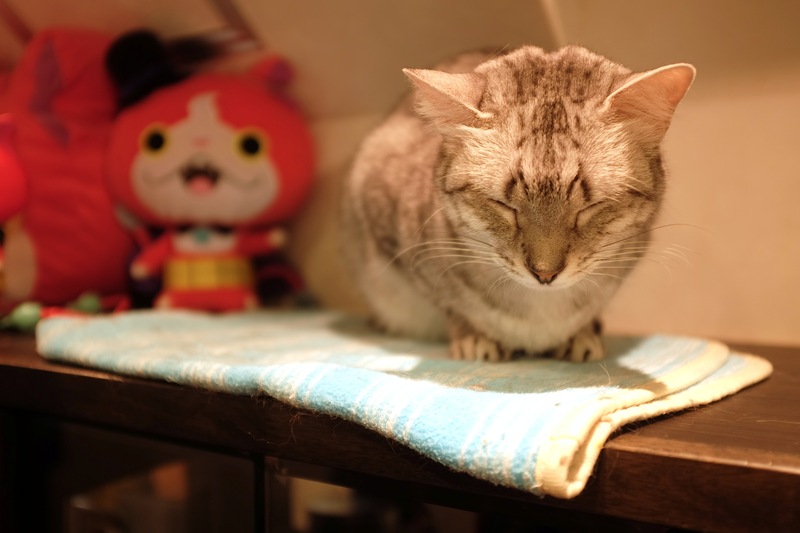 I know that Japan is filled with many cat cafe`s and its not exactly cheap but a good place to relax with some cats. If you are a cat lover such as myself, not exactly something I would try to do everyday or else ill be broke. 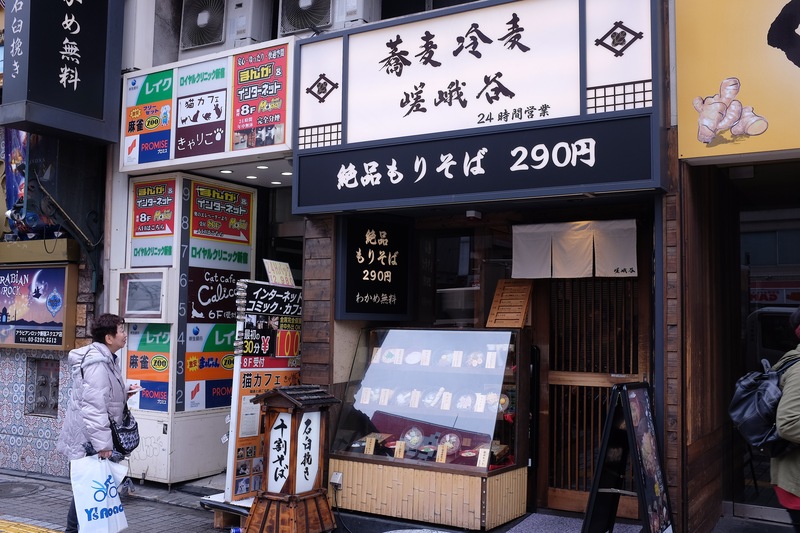 It’s ¥1200 per hour and if you want to buy food and drinks its ¥200 for all the drinks and ¥300-500 for the food here. 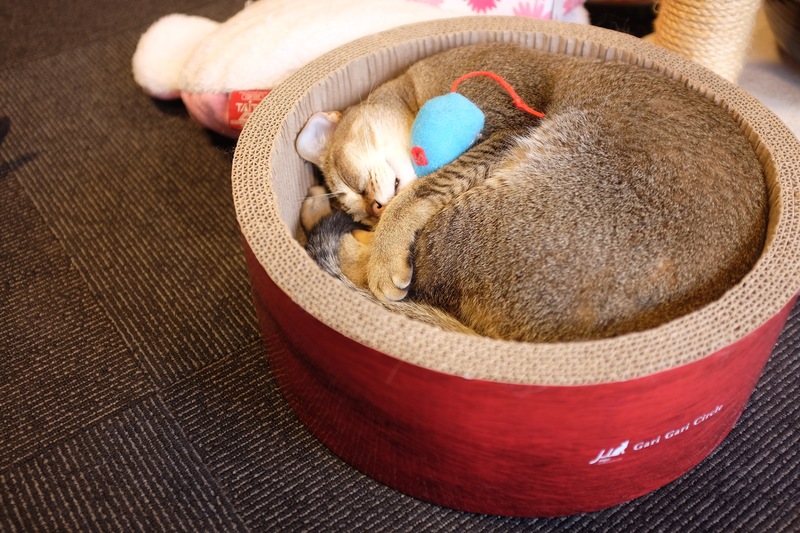 The food you can give to the cats is ¥300, I suggest that you just get this if you want to be able to touch a lot of cats. Since there are a lot of rules on handling their cats. Heres another view of the place. Its pretty big and at the time we went there, there were about 30 people. 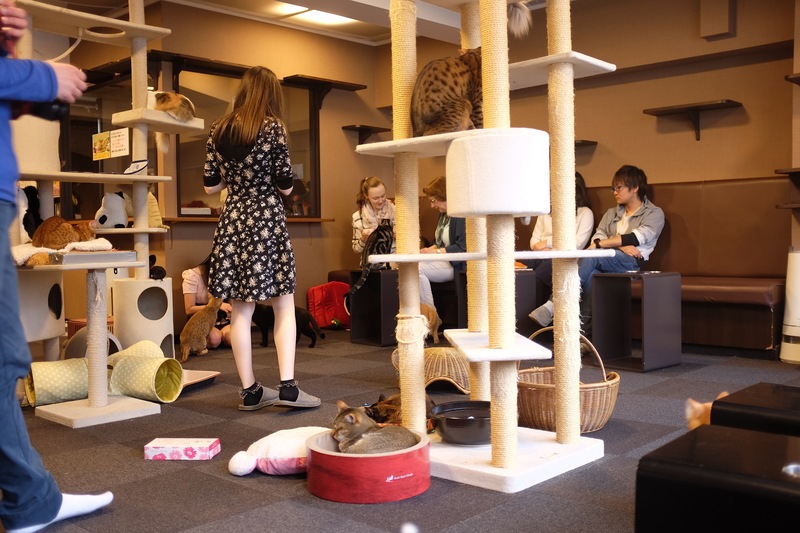 Good service here and I noticed that their staff could speak english so you won’t have problems here in the cat cafe. I love the style of seating they have and the food choices were good too. My grandma and I just got chai tea and iced coffee, and by the time we got the food snacks the cats were swarming all over us. 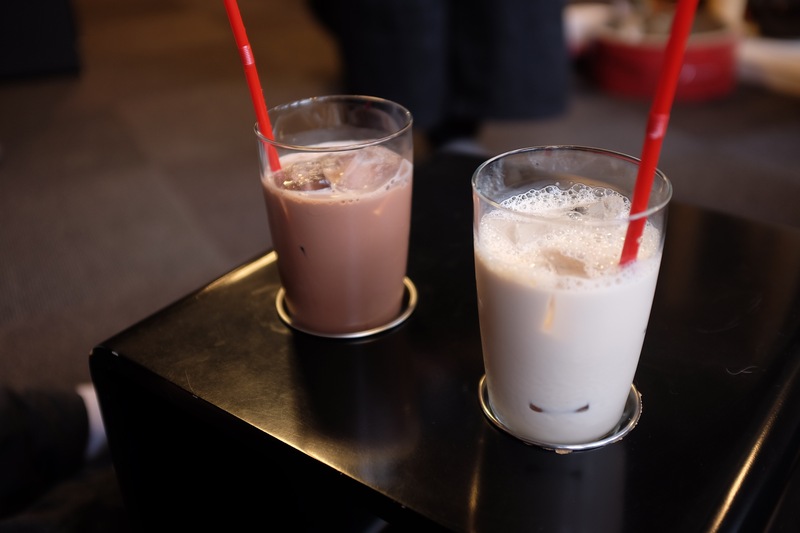 Something you could try if you are along the streets of Shinjuku or if you are staying around Shinjuku. There are many things that you could do around the area so you need not go for to look for something interesting to do. Although it is easy to get lost in Shinjuku train stations so i would suggest that you look up the place first before coming here. Getting on a bus would be the best idea if you would like to come here and get down on Shinjuku Eki Mae. Enjoy!